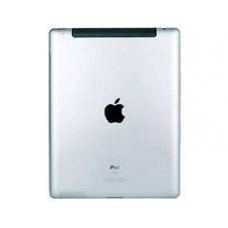 Apple iPad 2 16GB WiFi 3G rear panel back cover case assembly which includes the black plastic apple logo. If you have damaged your rear case in any way, or just feel like a new one, this is the ideal part for you! * WiFi & 3G Rear.